Electronic gaming is reaching worldwide status as one of the most exciting professional sports in the world. But the most exciting feature is it doesn’t have to be played as traditional sports are. You don’t need to be the same weight as another player to compete, but most importantly you don’t need to be the same gender to game in a tournament. Despite this, women in esports are not as common as the number of men involved and while critics will put it down to sexism and supporters will put it down to marketing strategies there’s still a few who are changing the way females are perceived in the world of Counter-Strike: Global Offensive and Overwatch, among many e-Sports games. One of the top esports teams in the world (ranked 15th in the world at the time of writing) is Team Secret. Made up of 28 players, five members are female and these five came from the all-female team known as WeRunThisPlace (WRTP). Among them is one of the most accomplished female Counter-Strike players, Zainab “zAAz” Turkie. Together the five female members have contributed a total of $15,908.78 to Team Secret which sits at an earnings rate of around $3.8 million, predominantly earned when Team Secret was founded – prior to signing on WRTP – to compete in Dota 2, the multiplayer online battle arena game and sequel to the WarCraft III custom map Defense of the Ancients: All-Stars (DotA:All-stars or DotA). Team Secret has also competed in Counter-Strike: Global Offensive, Fighting Games, Super Smash Bros., and Vainglory tournaments to bring their total to over $3.9 million in earnings. This view has been around for quite some time and has resulted in the female players from Team Secret entering female-only tournaments including the Copenhagen Games 2016 Female Tournament (which they won) going against the exciting element esports has – for your gender to be irrelevant in a virtual world. There’s over 400 individual female players ranked and what is interesting about some of the players is they haven’t played for a few years. If these high ranking female players kept on gaming, they’d be on par with the highest paying males, including male Saahil “UNiVeRsE” Arora who has played since 2011 right through to 2016 and has $2,708,036.44 in total earnings. The highest paying female esports player at the time of writing is Sasha ‘Scarlett’ Hostyn with her total earnings at $161,149.98, with StarCraft II her highest paying game. She is a 23-year-old Canadian who started StarCraft II in 2011. She became pro when she won the online female-only league – NESL Iron Lady – twice. 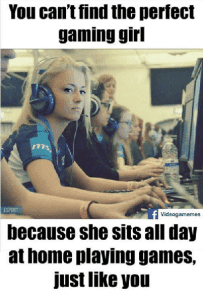 But she’s versed male players and won, including in the Playhem “Sponsor Me!” Tournament, where amateur players compete to earn a team or sponsor. She was awarded a trip to the IPL in Vegas for taking out first place. Scarlett also attended the 2012 StarCraft II World Championship Series in Canada defeating Drewbie, DdoRo, Huk and Ostojiy to reach the Grand Finals and win with a 12:1 record. She then took out the WCS North American Championship in 2012 with another 12:1 record after defeating ViBE twice. She is ranked 10th in her country and 293rd in the world. Check out the top ten highest paid esports players around the world. Katherine “Mystik” Gunn is ranked as the second highest earning female player but she hasn’t played since 2010. She’s still managed to earn $122,000 and is ranked 75th in the US. She’s played in WCG Ultimate Gamer Season 2 taking out first prize of $100,000.00 in Halo: Reach. She’s also participated in two team-based tournaments playing Dead or Alive 3 in both 2007 and 2008. 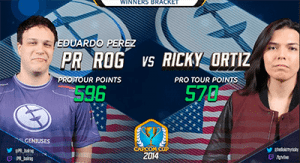 Ricki Ortiz uses her real name as her handle and has competed with it in around 59 tournaments. Her total earnings are set at $80,380.18, with her biggest win of $63,144.77 in 2016, at the Capcom Cup 2016 playing Street Fighter V.
She’s also in the team Evil Geniuses (abbreviated to EG) based in San Francisco, California. EG was founded as a Canadian Counter-Strike team in 1999 but has since expanded to fighting games including Dota 2, Call of Duty, Halo, Leagues of Legends and World of Warcraft. There are many critics out there who claim the discrepancies between the top earning female player and the top earning male player – according to BBC males earn seven figures while females earn six figures – is due to harassment. Kaitlyn Richelle, a professional StarCraft 2 player said in an article on PCGamesN she faced a lot of hate when she first started out – before even trying to go pro. “I used to use the name Kaitlyn in SC2, and I just got so much random hate. I still use that name when I compete, but I don’t use it online anymore,” she said. But scrolling through the comments of the article, many disagree with one commentator stating harassment is an issue, but not a gender-based one. “To claim it exclusively targets women (or even targets them significantly more) just isn’t accurate,” they said. 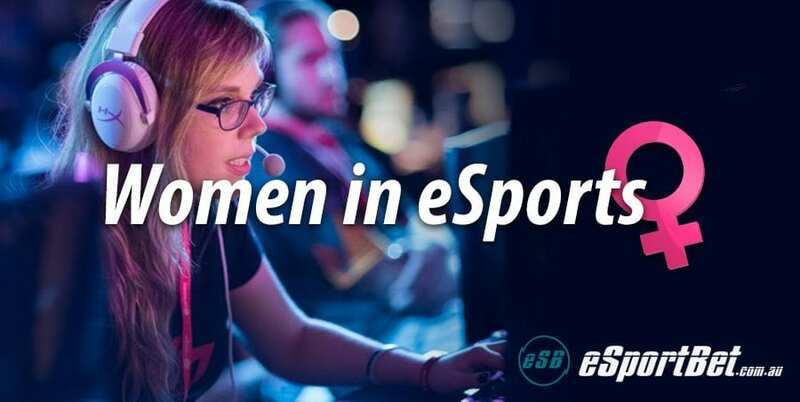 What are your thoughts on women in esports? Do you think there would be more if there was less harassment or are the games just marketed towards the male population? Leave your comments below.